In May 2017, we created a VR Experience for United Drug and their agency Dialogue. Whilst seated in an oversized 'Tote Box', customers were invited to experience the journey that the Box takes from factory to pharmacy. To add to the customer experience, we also built 5 large themed areas for the client to showcase their product ranges. Cadbury’s Cadvent truck visited 24 SuperValu stores in the run up to Christmas to give shoppers the chance to win a Cadbury’s treat by selecting a window from 1 – 24. One lucky consumer won a hamper each day filled with Cadbury’s chocolate goodies and everyone who tried left with a treat! The rain came down and everyone got muddy in the fields of Oldcastle for the 2nd year of Fruit Shoot Mini Mudder! This year we also brought a snippet of the event to SuperValu through The Fruit Shoot Mini Mudder Roadshow. To celebrate the launch of the new BFG film we created a green screen photo experience in Dundrum Town Centre. Shoppers walked away with a branded picture memento of themselves in the hand of the BFG! This campaign was executed on behalf of PML. To celebrate the launch of the new Orangutan Forest in Dublin Zoo we created a #hangwithorangs experience on South King Street, Dublin. Passers-by could take the #hangwithorangs challenge, enjoy the entertainment and learn more about Orangutans from the Dublin Zoo Keepers. 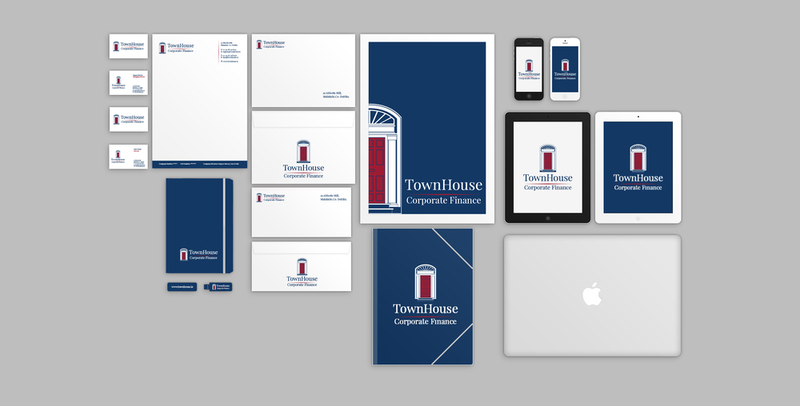 Here is some recent design work we did for our newest client, Townhouse Corporate Finance. We produced a new logo, designed their suite of stationery and built them a brand-new website. 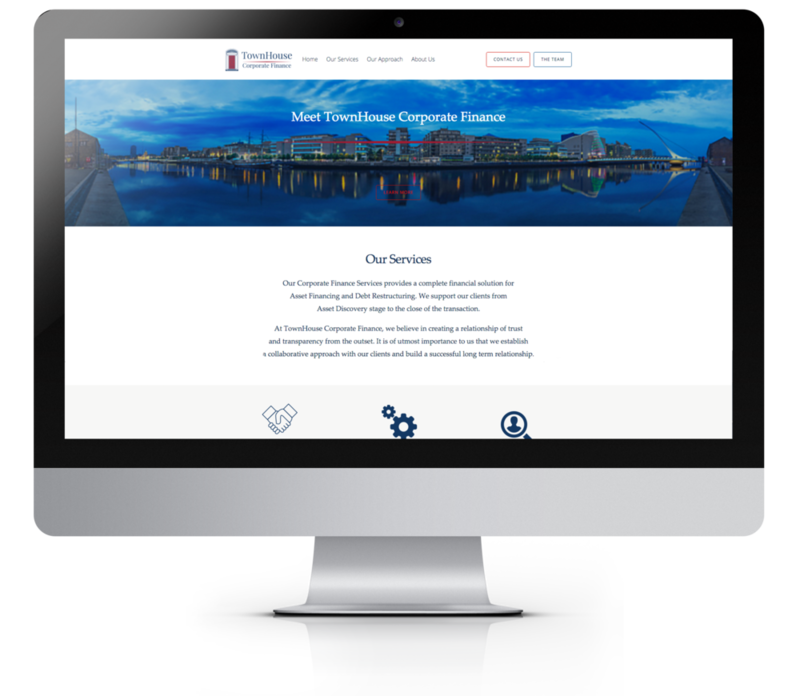 If you need help with your design just call us on 01 8665640. Big Al’s took over Dublin with a load of cluckin' chickens! People were scratching their heads wondering #WHATTHECLUCK is going on? To celebrate Big Al's One Chicken promise a team of chickens took to the streets and brought a smile to commuters faces with their high jinx and free vouchers. Trick or Treat for Temple Street! Check out our wonderful MiWadi Halloween Street Party! Why not host your own Halloween Party and help raise funds for Temple Street! Visit http://www.templestreet.ie/event/trick-or-treat/about/get-you-party-pack/ to get your party pack! To encourage people to host their own Halloween party for Temple Street Hospital, MiWadi offered a chance to "Win a Halloween Party for your Street!" to anyone who entered the competition online. This prize saw us transform the lucky winners street into a haunted Halloween experience, complete with giant pumpkin, wicked witches and ghostly ghouls. The kids all received goodie bags packed with sweets, treats, stickers and toys. Traditional Halloween games, face painters and arts and crafts area meant there was something for everyone, no matter what the age. We are delighted to be working with McDonald’s and have just completed The Power of Taste Experience Roadshow. The concept was developed by Cawley Nea and the video production was done by Visual Narrative. This summer Kellogg’s Nutri-Grain is sponsoring a challenge to find Ireland’s most skilful golfer. Together with Murray Consultants, we asked punters on street to step up and take aim. Those who managed to get a hole in one, won a month’s supply of Kellogg’s Nutri-Grain. All participants walked away with a delicious sample also. We are delighted to have been awarded a Gold MAA Worldwide Globe Award. The awards celebrate the ‘Best of the Best’ marketing campaigns from around the world. The gold award was given for our Paddy Power, London France campaign.